3 April 2013: I have done a new presentation about the Thermal Modelling project that was done last Summer. 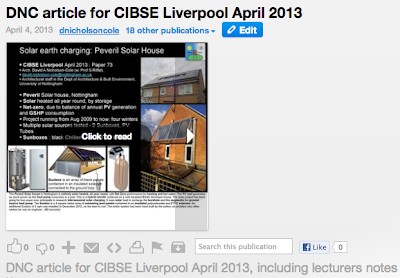 This is for the CIBSE Technical Symposium of April 2013, in Liverpool. It is better explained than the one I did for Vancouver last September, with an additional winter's worth of data and images. Enjoy!